You get GadgetOff, bringing the smart and useless together! I’ve been invited to this years event, Sept 28th, which kicks off in the sweet IAC building, by architect Frank Gehry, then cruises over to the Liberty State Park for the rest of the events chaos. I’m not sure what to expect, but from what I’ve heard, it’ll be a ball busting fun gathering of the bizarre, intellectual, and trouble making individuals. I’ll post about my experience at the event, so watch out for some cool updates in the next week or so after my GM ninja driving trip. update: the Gadgetoff 2007 Recap here. 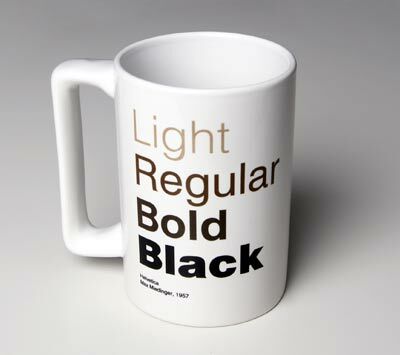 If ya love Helvetica and Coffee, I think you’ll like this Helvetica mug. I wonder if your font type relates to how you like your coffee. Personally, I’ve cut down on my coffee addiction and prefer Helvetica Standard Light Neue. This mug was made in part to the fabulous documentary “Helvetica” which I briefly mentioned earlier. Enjoy! Designers Claus Jensen and Henrik Holbaek bring us these very delightful smiling double bowls for Eva Solo. Stash your nuts or candied goodies up top, and leave the bottom for the shells, wrappers, or perhaps olive pits. 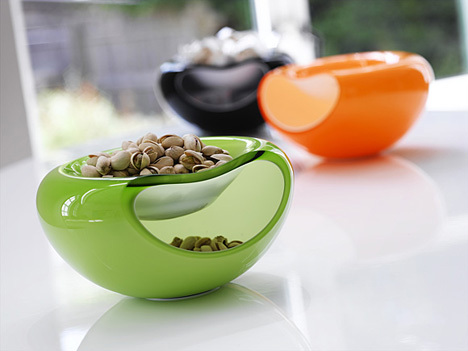 Even if you don’t use them that often, these colorful glass bowls smile at you. This is just a reminder when you put a bit of personality into a product, it’s more liked. Two more close up pics after the jump. 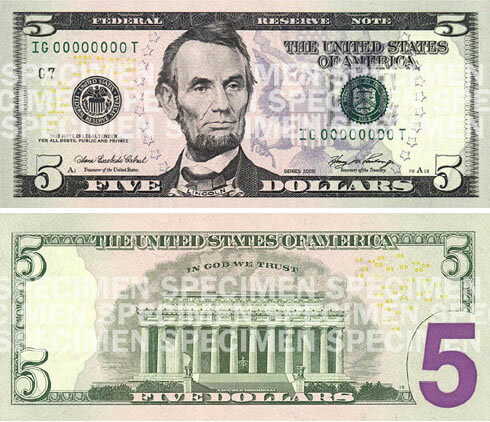 Woa weird, the new US $5 bills fade into purple with a big phat purple 5 on the back side. 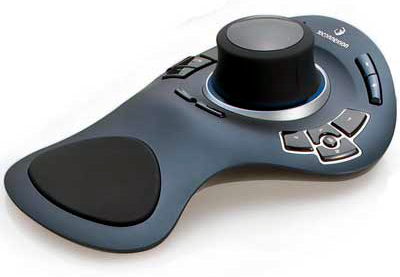 The Space Explorer (by Logitech) gives users a 3 dimensional navigational experience allowing simultaneous inputs for a more fluid and realistic environment. Mouses allow you to pan, twist, spin, or zoom in, but you can’t do all of them in one simple twist. I’ve played around with the Space Explore and it takes a few hours to get use to. Once your hooked it’s as intuitive as most mice are in any 3D CAD package(I favor Solidworks). I’ve yet to completely convert over to this mouse, but it saves a ton of clicks and twist while making you look cool with blue LEDS hovering under the main knob. I’m not sure if I’m ready to fork over $299 for this, but once the price drops some, I’ll be hooked and sneezing the products amazement around to all my friends. Check out their other products here, or videos here. Above: picture of sumo wrestlers stretching. – Close chip bags without clips and just folds. 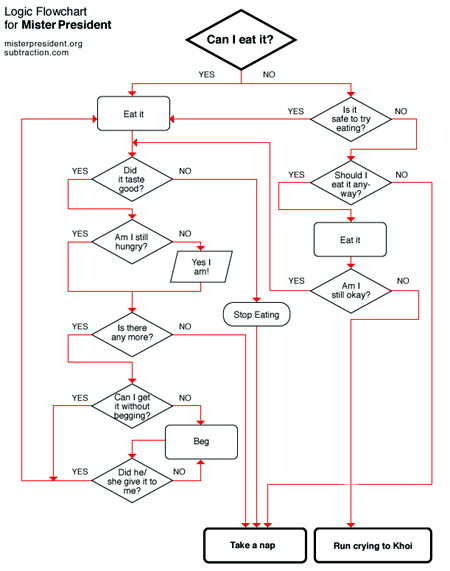 – 10 signals for fresh fish at the market. – Universal phone chargers: Finally they agree on a standard! – MEIKO music, webpage or myspace. – Amazing absorbing material with egg drop test. From the same makers of the Soft Magnets. – A marriage prank video you should never do! I’ve seen my share of mechanical transforming outfits before, but most have all turned out robotic-like and seemingly uncomfortable on women. Hussein somehow makes these transitions smoothly and gentle, like a ghost peeling away at the models. The designs are very nice and morph for extra “wow” points. Call it fish strings, Nickel Titanium, some other memory alloy, or plan magic, I love it! I want an outfit that morphs the fabrics pore sizes as my body temp changes after a run, though I think there are smart nano materials that do this already. Or maybe an outfit that’s connected to the internet that changes shape based on the NASDAQ or weather…. okie, I’m getting a bit geeky now. I’ve posted the a longer version of the Catwalk and more about Hussein after the jump, with interviews and another spectacular soft LED dress thats pretty sweet! 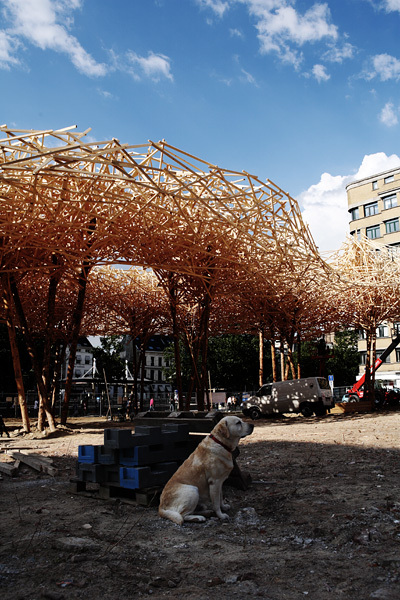 CityScape is a colossal fortress of tangled wood hovering in the heart of Brussels for the next year reflecting a frozen moment in time gesturing the increasingly influential city of Brussel within Europe’s capital. The project was funded by MINI for to coincide with the world premiere of the new MINI Clubman Car, which is pretty sweet, though the back reminds me of a refrigerator nostalgically. 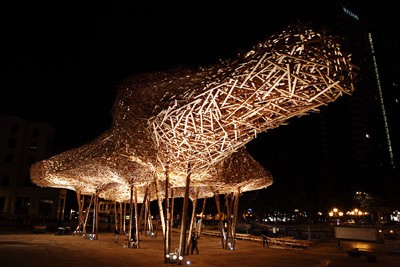 CityScape is the vision of designer Arne Quinze who directs the fast paced multidisciplinary firm Quinze&Milan. (They rock!) Their work has been seen around the world, but I first noticed them from last years Burning Man sculpture in Black Rock city which they later burned down like champs! Cityscape reminds me of the trippy Tunnel House in a higher budget way. Pretty sweet! I’ll have to reorder all my magazines on my bookshelf since they just sit there anyways. This reminds me that sometime when things are done one way by others or systems are designed to be done one way, there’s always a better solution for your needs. Take for example those contact card binders with lettered tabs on the side, hinting you to keep your contacts in order by letters. We’ll, I started off that way but figured out a better method. I keep my cards in chronological order. The longer I’ve known you, the further you are in the front of the book. If I met you recently, your on the back half where I continue adding cards. Sometimes you remember people more by when you met them rather than by name, and by putting the cards in this order, you have a timeline of event such as college, a conference, a party, or at meeting. Perhaps this doesn’t work for some of you, but it makes for a great timeline book of contacts which works great for me. Pretty sweet 3D Display! Can’t wait to work one of these using Solidworks (my preferred 3D Program! This video is awesome and will only make sense if your a web geek! It’s an animated collection of viral web icons from the past that we all know about but don’t want to admit! This sure reminds me how much time the web culture has influenced and wasted our lovable time! Congrats to Dan Meth in creating this hilarious animation “Internet People“. Watch the video, see how many icons you recognize, and enjoy this movie down memory lane! You are currently browsing the weblog archives for September, 2007.